Warren is an experienced Senior Litigator who has practised law for nearly 40 years, having practised at the Independent Bar almost 20 years. Previously, Warren was the Litigation Partner at an Auckland city law firm for over 16 years. Due to his extensive legal knowledge, and appellate experience, Warren is frequently retained to appear when cases proceed on appeal. 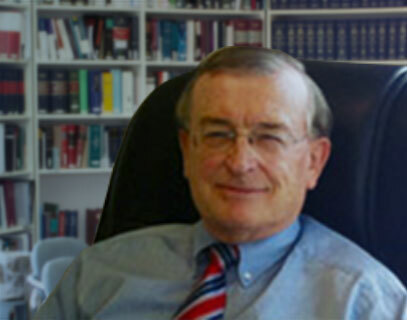 His experience is over a wide range of cases including nearly 30 appearances in the Supreme Court, Privy Council and Court of Appeal combined, on Civil Criminal Public law as well as Relationship Property disputes. His successful Supreme Court and Privy Council appearances have given him invaluable appellate experience and understanding of the law. He has also appeared as counsel at all other levels of litigation including Tribunals, High and District Courts. Many of his cases are reported in the New Zealand Law Reports. Warren has also been a cost reviser for the New Zealand Law Society for 20 years. Warren has been involved over the years in various committees of the New Zealand Law Society including Legislation, Law Reform, Family and Public issues. Warren has been legal counsel for a number of public bodies including the New Zealand Nutrition Foundation and the New Zealand Association for the Blind and Partially Blind. He has presented papers at numerous legal seminars.